Steel wire and bar mills in the company-own high-speed steel alloys HDW5, HDW6 and HDW7 are the top-selling products of our company. 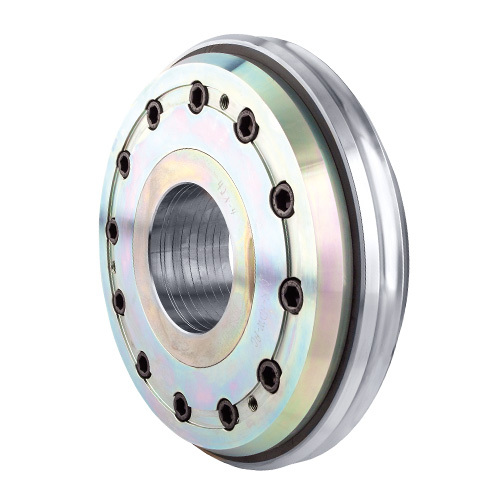 One of its special features is the high degree of hardness of up to 66 HRc, which we achieve in our HDW7. Also customer-specific adaptations to required characteristics are not a problem for us. 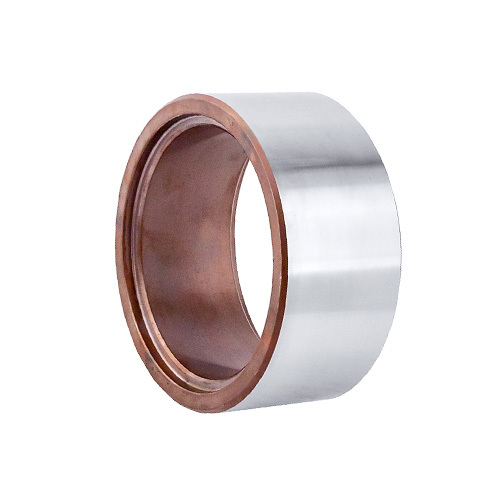 Due to the entire production within our company, from raw material purchase, melting as well as processing and hardening it, we are able to guarantee consistent quality throughout all production steps including tracing and control at all times. 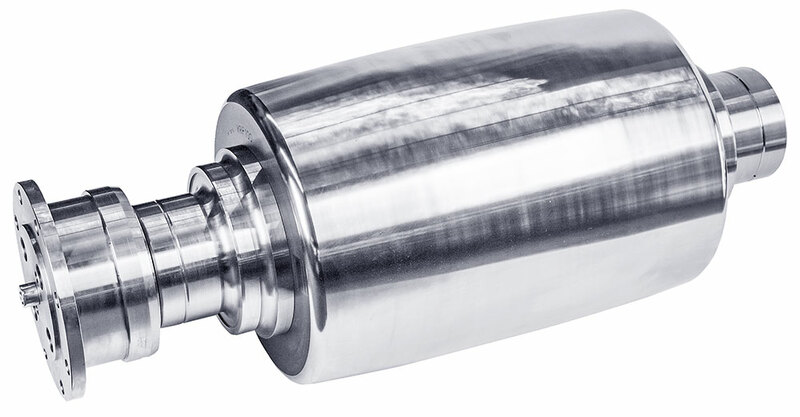 Tube extensions for the rolling of seamless pipes are also a part of our portfolio. Here, we use the same materials used in the steel wire and bar rollers. Special materials according to customer specifications have also been developed for these mills. Be it one or two part: we work in accordance with your requests! Straightening rollers provide you with two production options. Either as single part straightening rollers where the complete roller is manufactured from one piece and soft annealed after the curing process or as two-part alternative. 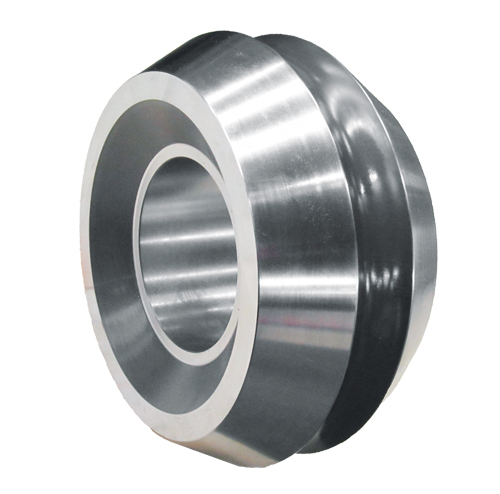 In the process, the straightening body generally made of tool steel an in special cases of HDW7 (64-66 HRc) is heat-shrunk onto an axis made of quenched and tempered steel. This provides the option of selecting the best possible material for the respective requirement. Contrary to the tough axis, the straightening body can reach high stability. Due to the shrink-stick connection, it also provides the option of reusing the axis once the straightening mantle is worn. Today, 85 % of our customers decide in favour of the two-part design, as production is not only more economical, but also has mechanical advantages. We would be pleased to meet with you to discuss your personal needs. Guide rollers are another specialty of our company. In the process, the company-own alloy HDW1 is applied, allowing us to achieve a significant increase in the service life compared to the standard alloys of tool steel. Currently, approx. 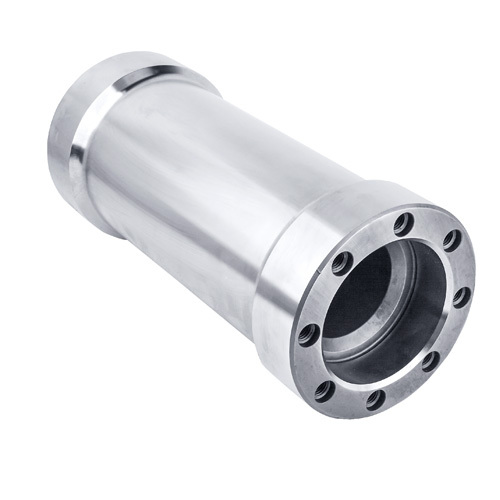 90% of our guide rollers are manufactured in HDW1. Transport castors are also possible in all variations. 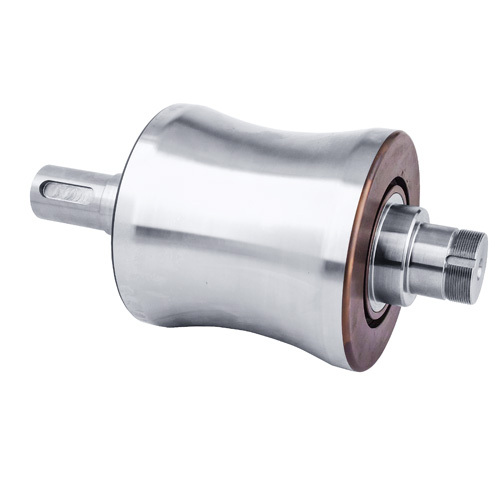 In addition, we can provide you wear-proof castors in all alloys. Your product is not on our list? Please contact us and we shall gladly rise to your challenge. Casting, state of the art CNC lathes, grinding, milling and subsequent curing leaves little to be desired in the metal processing sector.